LENGTH X WIDTH X HEIGHT: 192.9 x 72.9 x 56.8 in. CARGO CAPACITY: 15.4 cu. ft.
Nissan is rightly proud of the economy of the mid-size Altima. I remember when they introduced the previous version of the sedan, they bragged about the car’s 38 mpg highway economy. That has improved to 39 mpg, but overall our test figure was 28.2 mpg, a very good number. You would think that with such decent economy figures - and our prime driving was local with almost no economy-boosting highway miles - the car would be an econobox, small and under powered. Nah! The Altima has more than enough power from the 2.5-liter inline four and CVT transmission. It’s rated at 188 horsepower and 180 lb.-ft. of torque. While it’s the same size as the previous engine, the 2.5-liter is a total redesign. the result offers adequate power for all occasions and good acceleration. Exterior styling is updated and the Altima looks good heading down the road. The all-black interior, however, is rather bland. It could use some three dimensional styling and wood or mental trim highlights. Also, there was reflection from the top of the dash in bright sunlight. That’s a good location for a heads up display sender. Dimensionally, the new Altima is 1.1 inches lower, 1.0 inch longer and 0.9 inch wider than the previous version. The instrument panel is clear with the standard tachometer and speedometer and an information panel in between. We chose a digital speedometer from among the information panel choices. In addition, there is a clear infotainment screen. The audio system is good with the standard choices including standard Apple Carplay and Android Auto. As with most mid-size sedans, there is a very good trunk. In addition, the rear seat back releases are in the trunk. I prefer this location because it’s easier to increase trunk capacity when you suddenly discover you need it. The Altima is equipped with standard blind spot monitor, rear cross traffic alert, lane departure warning and intelligent driver alert. Shift into reverse and you get the standard rear view camera view plus a 360 degree “overhead” view. The only option on our tester was splash guards ($250). Overall, the Nissan Altima is a strong competitor in its segment. Styling is very good, the ride is comfortable and quiet, and the economy is very good. 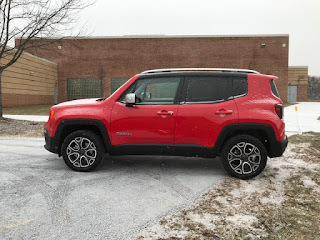 BOTTOM LINE: It may carry the Jeep name, but the Renegade is really a Fiat 500X and as such serves only to detract from the classic Jeep name. Under the hood, the engine (American) is positively awful. It is noisy on acceleration (noisier than most sports cars but less intriguing) and noisy on general cruising. Inside the cabin you have the choice of listening to the sound system (a $1,245 UConnect option) at high volume or communicating with other passengers, but not both. That’s the bad news. The worse news is that the optional engine is a 1.3-liter turbo four that I‘ll bet is an even poorer performer. Another bad option is the “dual pane panoramic power sunroof at $1,595. Okay, you want a Wrangler experience, so you get a sunroof to mimic the sides-and-top-off experience of the Wrangler. No. 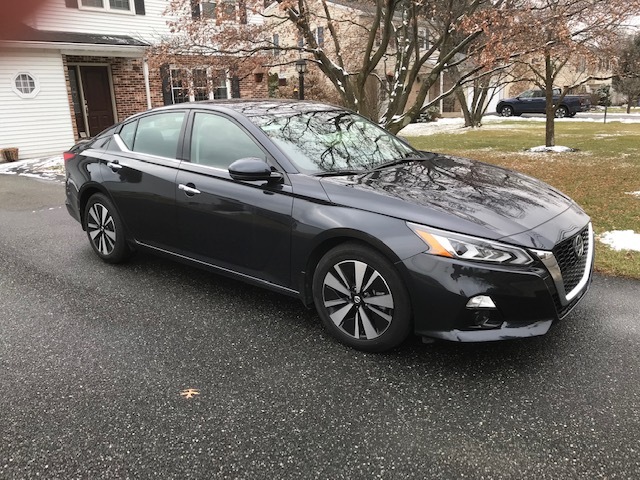 The good options are $995 for the Advanced Technology Group (automatic high beams, full speed collision warning, lane departure warning and a rear park assist system). The $895 Safety and Security Group includes the blind spot monitor and rear cross traffic alert plus high intensity headlamps among other things. Oh, and there’s no spare. When the general public visits the Chicago Auto Show they get a look at most of the latest vehicles with their technology. But what Bumper2Bumpertv gets to see before the public days is the equivalent of sending automotive journalists on a play date. After trying to cover the entire midsize SUV/Crossover segment with one vehicle, the Santa Fe, Hyundai is reworking the lineup. Bumper2Bumpertv spent some seat time with the 2019 version and had a chance to compare it to the previous model.